Win a pair of Faction skis and a jacket & pants combo! 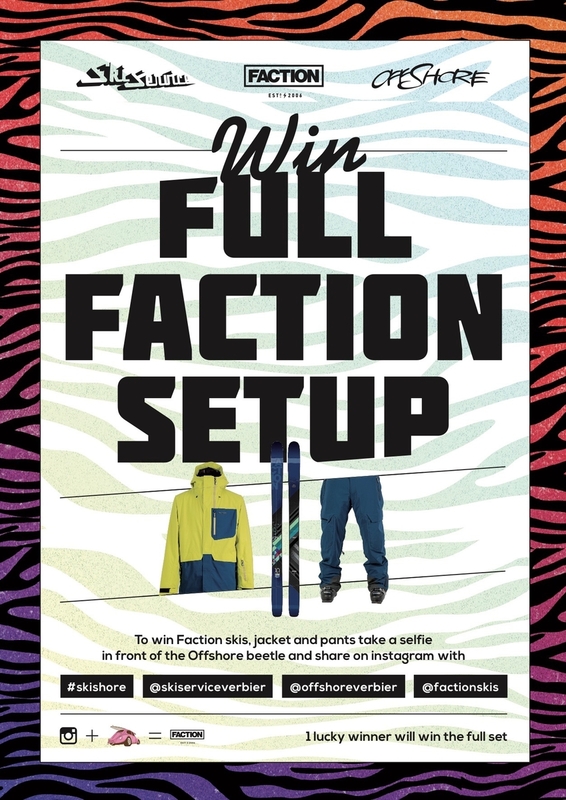 Take a quick selfie in Offshore and post to instagram for a chance to win a full Faction set from the Verbier ski company. Whether you are heading to Offshore café in Verbier for one of their iconic breakfasts, legendary chicken and cheese sandwiches or an après ski lager on the terrace be sure to whip your phone out and take a selfie in front of the pink beetle! You can't miss it! Share your picture with @skiserviceverbier @factionskis @offshoreverbier and #skishore on instagram.